For World Children’s Day on 20 November, students around the world came together to raise their voice on the importance of children’s rights. 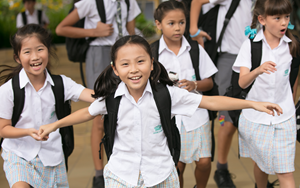 Find out why Nord Anglia Education schools are empowering students to become global citizens. To mark the celebrations for World Children’s Day on 20 November, students have rallied around the world in numerous #KidsTakeOver events. 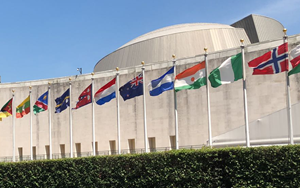 Throughout the day, students have taken over schools, businesses and government institutions to raise their voices about the importance of children’s rights and advancing the UN Sustainable Development Goals. Students from Nord Anglia International School Hong Kong even came to the central team to interview CEO Andrew Fitzmaurice on his views about the Global Goals and the future of our planet. In his latest blogs on the Huffington Post, Nord Anglia Education CEO Andrew Fitzmaurice, shares his insights on the importance of global citizenship and giving students a platform to voice their perspectives and play a role on the future of the planet. "Of course, we should be committed to empowering young people beyond this one day. 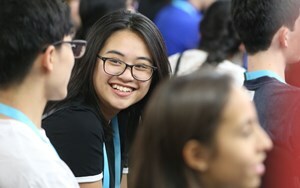 I believe that an outstanding education not only leads to academic success, but supports young people to develop as global citizens and agents of change," Andrew states in his blog on the Huffington Post. 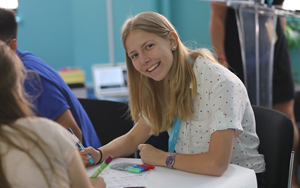 Catch-up on what’s been happening so far at the 2018 Global Goals Student Summit in collaboration with UNICEF.